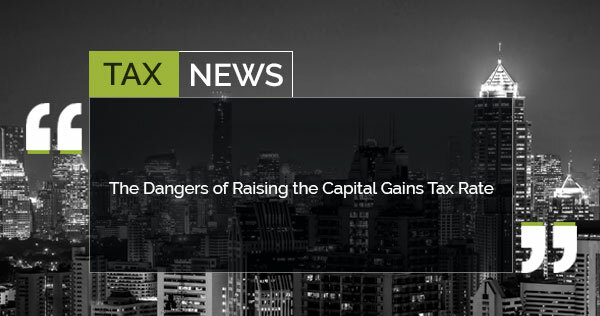 Although it won’t raise significant amounts of revenue, the Capital Gains Tax (CGT) inclusion rate for individuals could be raised in 2018 as part of various steps to address South Africa’s widening budget deficit.This comes as National Treasury mulls its options for raising roughly R30 billion through tax hikes while also cutting expenditure in the upcoming Budget. However, there is concern that government has run out of levers to pull as it aims to introduce tax hikes without impeding economic growth. The CGT inclusion rate for individuals was raised from 33.3% to 40% on March 1 2016. For companies the rate was lifted from 66.6% to 80%. At the time, it was estimated that the change would add roughly R2 billion to state coffers in the 2016/17 fiscal year. Jerry Botha, managing partner at Tax Consulting SA, says the CGT inclusion rate for individuals is one area of tax that is very open to an increase from March 1 2018 onwards. While Treasury might increase the CGT inclusion rate for individuals from 40% to 50% or slightly higher, increasing it from 80% to 100% for companies will be difficult, says Kyle Mandy, tax policy leader for PwC. In an economy with a relatively high inflation rate, taxing capital gains and normal income at the same tax rate, without providing indexation of tax costs, creates significant distortions. “You end up actually starting to tax inflationary increases in the value of assets, when from a purist point of view, you should only be taxing real increases in the value of assets,” Mandy says. Rupert Worsdale, partner at Maitland, says the inclusion rates of 80% for companies and trusts already mean that CGT is imposed on inflationary gains and that it is effectively a wealth tax. While there is possibly room to increase the inclusion rate for individuals from 40% to 50% (which is the same as the inclusion rate in Australia and Canada), the government has to be careful of killing the goose that lays the golden eggs in light of growth constraints. In some jurisdictions, it is a common practice to tax CGT at the same rate as income tax, Botha says. This is the reason why in some locations there is no debate on whether money is income or capital – they are taxed at the same rate – but the standard practice in other locations is to allow some inflationary relief or give a tapering for the time value of money. When CGT was introduced in South Africa, it was argued that the low inclusion rates militated against the need for making adjustments for inflation, Webber Wentzel’s Joon Chong and Wesley Grimm write in an article. This argument is not sustainable anymore and South Africans may now be taxed on inflationary gains made. Further upward revisions of the CGT rate would only exacerbate this situation, they warn. Ultimately, a hike in the CGT inclusion rate for individuals won’t raise significant amounts of revenue, Mandy says. However, it might be used as a trade-off for a VAT increase. Government has consistently declined to pull the lever on VAT, but it might not have a choice in February. VAT is the only tax that has any chance of filling the gap, Worsdale adds. However, because of the political implications, it is likely that the change will be a new band of VAT on luxury goods. Wealthy individuals will need to be seen to make an additional contribution, not through a wealth tax – which is too complicated – but by tightening up estate duty, including the abolition of the spouse exemption. Rather than introducing tax hikes through CGT, VAT or a wealth tax, government should rather consider bolstering property rights, boosting efficiency and lowering the costs of public service, expand essential infrastructure, employ education resources more efficiently, reduce crime and limit wasteful expenditure, Chong and Grimm note. Some meaningful measures will have to be taken on the expenditure side to ameliorate the consequences on the revenue side, Worsdale adds. Botha says taxpayers who feel they must plan for potential increases in CGT rates must be mindful of the “bed-and-breakfast” provisions, which was borrowed from UK tax law. The term refers to a sale of shares on one day (“before bed”) and a repurchase of those same shares the next day (“at breakfast”). The purpose of the short-term disposal and acquisition is to generate a capital loss for set-off against other capital gains in the tax year. Typically, one might find “bed and breakfasting” occurring at the end of a year of assessment. The purpose of reacquiring the shares is to restore the portfolio to its pre-sale position, but if shares are disposed of at a capital loss and bought back within a 45-day period on either side of the disposal, the capital loss must be disregarded, he explains.